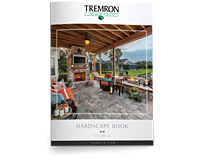 Tremron, a hardscape supplier and manufacturer in the Southeast, is expanding its operations with the addition of a seventh manufacturing facility located in Bowman, South Carolina. The additional production and distribution provided by the Bowman plant will be able to further serve the growing demand and need for the Tremron brand. The Bowman plant will serve the markets between Savannah, GA, and Virginia, focusing on products specific to the regional demands.